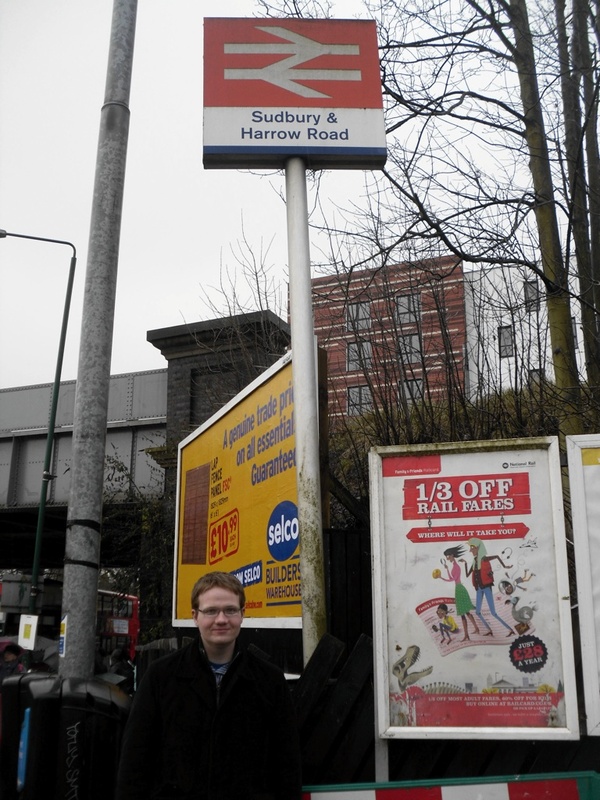 Don’t let the punny title fool you, there was nothing harrowing about Sudbury & Harrow Road station. The only stressful bit was planning my journey: I had to get to the station, then back to Ian’s flat to get my stuff, then on to Euston for my train home. On paper, it looked eminently do-able; TfL’s journey planner was less optimistic, until we came up with a convoluted plan involving buses. We are on Chiltern Railways territory, so we headed to the terminus at Marylebone, mingling with office workers enjoying an early dart as we boarded the 1630 to West Ruislip. Sudbury & Harrow Road was the first stop. 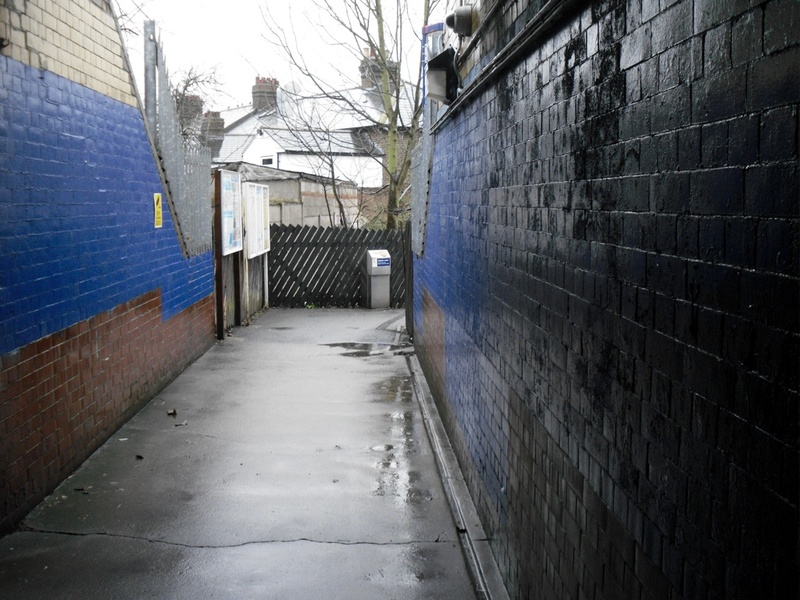 If I were to describe Sudbury & Harrow Road in one word, it would be “unremarkable”. 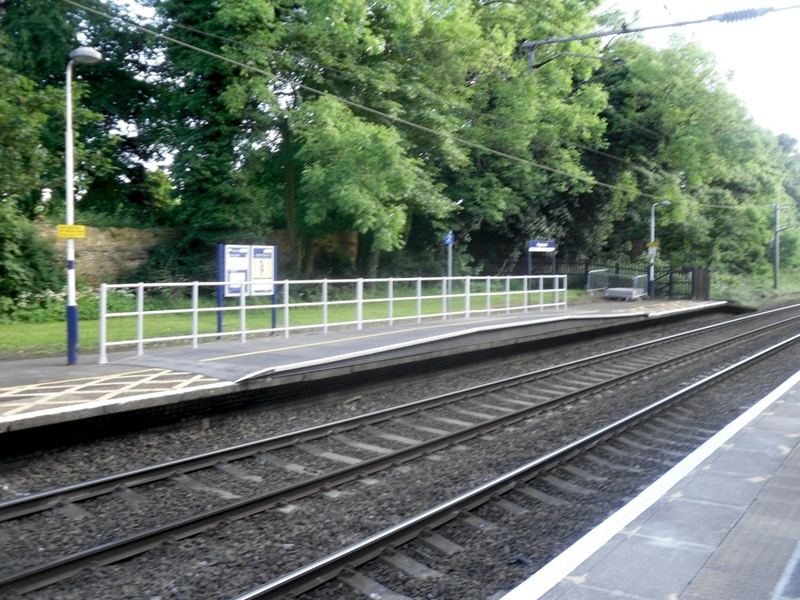 It’s a tiny halt, just long enough for a short train, with very narrow platforms (and an odd gap between them, as seen in the picture to the left). 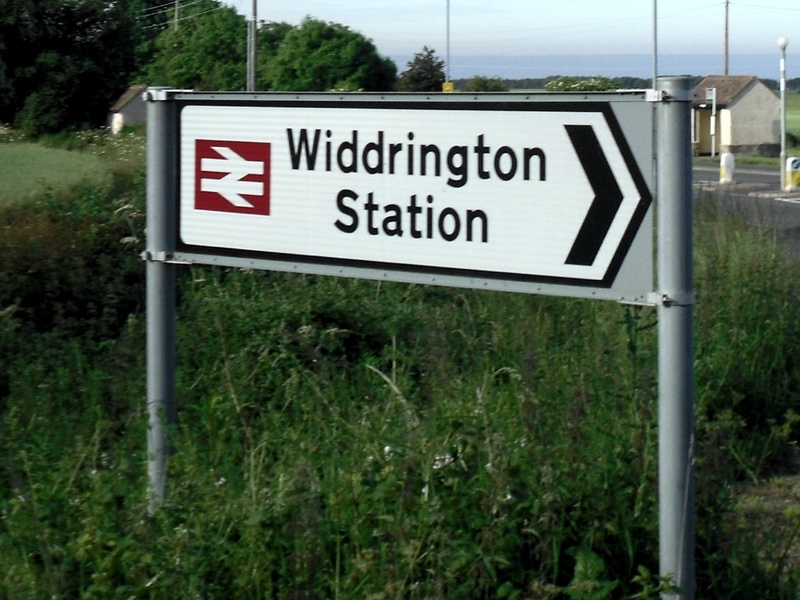 The only striking thing about it is the passenger numbers – barely 18,000 people used this station in 2011/12, according to the official statistics. The station gets a very limited service – a few trains to Marylebone in the morning, and some return journeys in the evening. That’s it. This station is right on a high street and would seem a strange candidate for a peak hours only service. However, the truth is that the area already has a generous supply of stations. 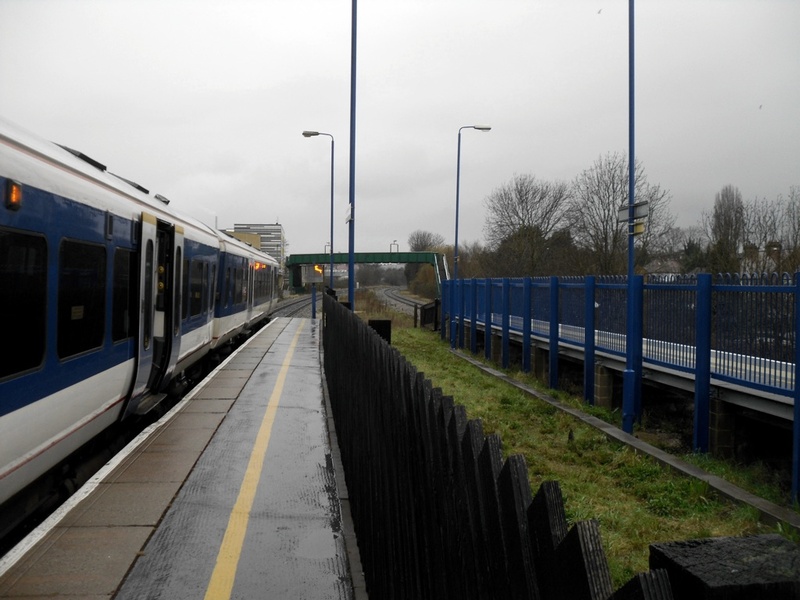 Less than 5 minutes walk from the station is the Piccadilly Line’s Sudbury Town station, while not too far away is Sudbury Hill Harrow, not to be confused with Sudbury & Harrow Road, nor with the area’s 4th station, Sudbury Hill. Got that? Good. There was little of interest to see in the station itself. It was raining and I was conscious of our tight time limit, so we quickly left the station via the subway to take care of business. It was school chucking out time and I was very conscious of a nearby gang of teenagers as Ian took the pic of me under the sign. We fled towards the bus stop as quickly as possible afterwards. 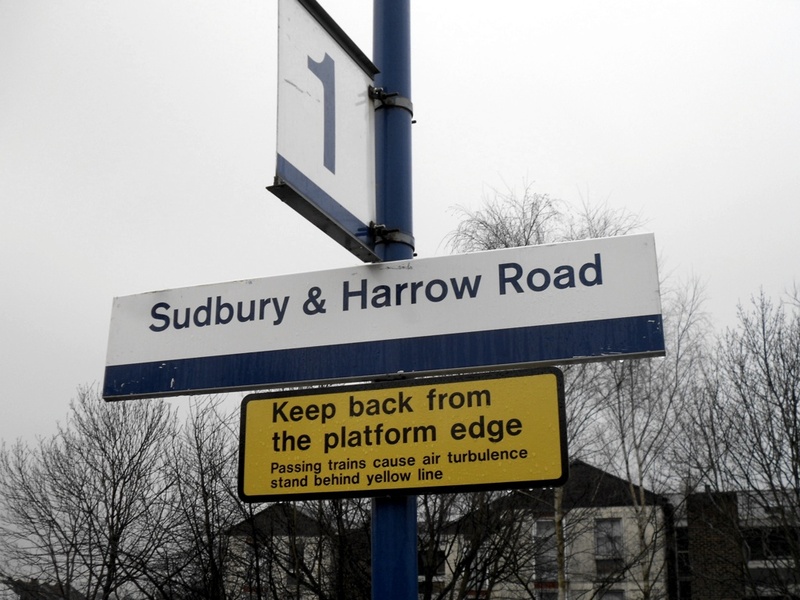 So that was Sudbury & Harrow Road. Not particularly exciting, but it’s another box ticked off the list. 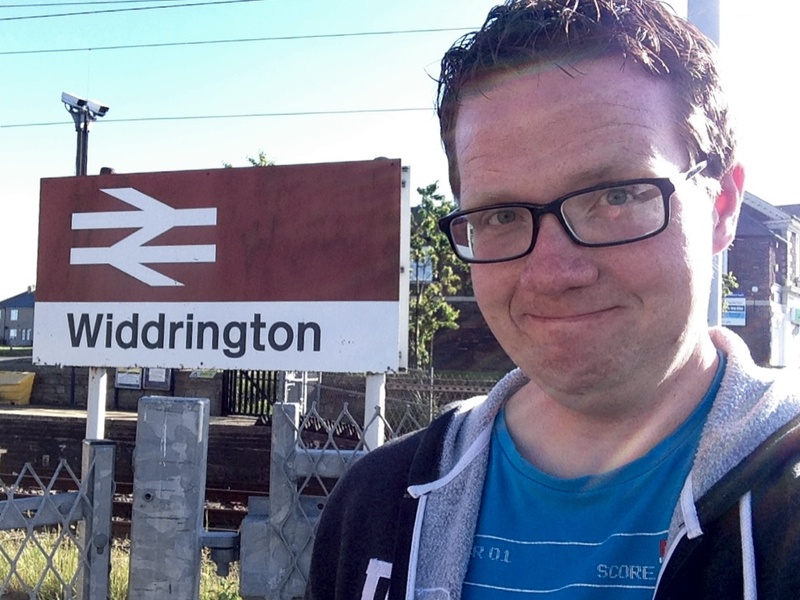 I was feeling cocky as my train powered through the Lancashire countryside en route to Bolton. The day had gone perfectly so far: I’d had a good couple of hours at Hebden Bridge; Salwick station had been successfully bagged; and I’d managed to get a bonus sugar rush from a very sweet Mars milkshake that I’d bought on impulse from the WHSmith shop on the platform at Preston. I thought the rest of the afternoon would be nice and straightforward. All I had to do was get to Salford Crescent in time for the 1743 to Wigan Wallgate, one of the two trains each day which stop at Clifton. 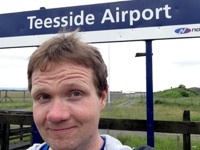 I was feeling especially smug after spotting that, by taking an earlier train from Preston and changing at Bolton, I would get to Salford earlier than if I took the direct Preston to Salford train. 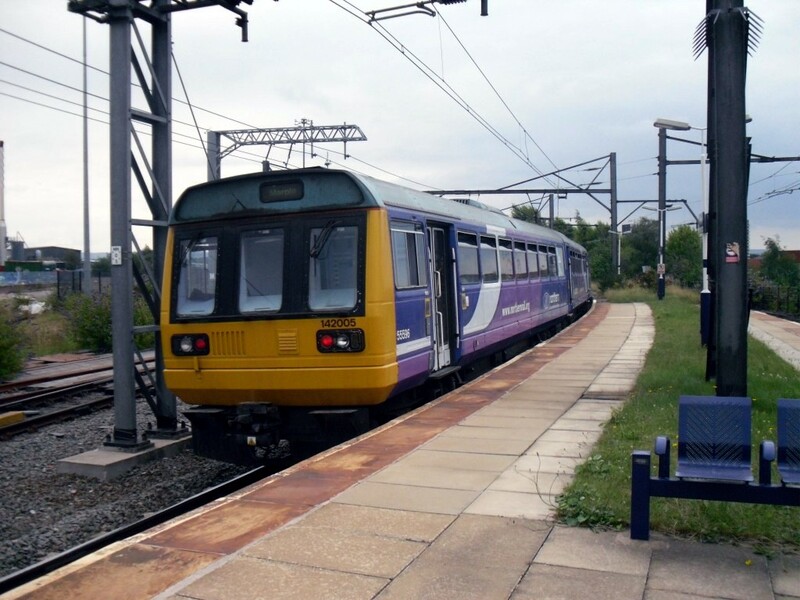 I would have a twelve minute connection into the 1743 – ample for Salford Crescent’s single island platform. 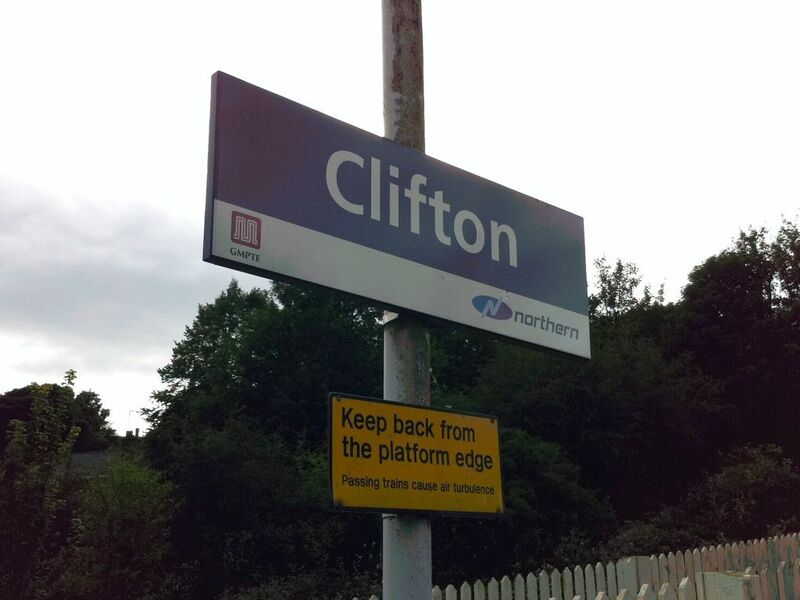 It was an uneventful run to Bolton, where I duly alighted and searched the departure board for my next train. My heart sank: the Manchester Airport train I needed was running late. Twelve minutes late, to be precise. As railways grew rapidly in the 19th century, a large number of stations were opened in the inner cities, just a few miles from major termini. 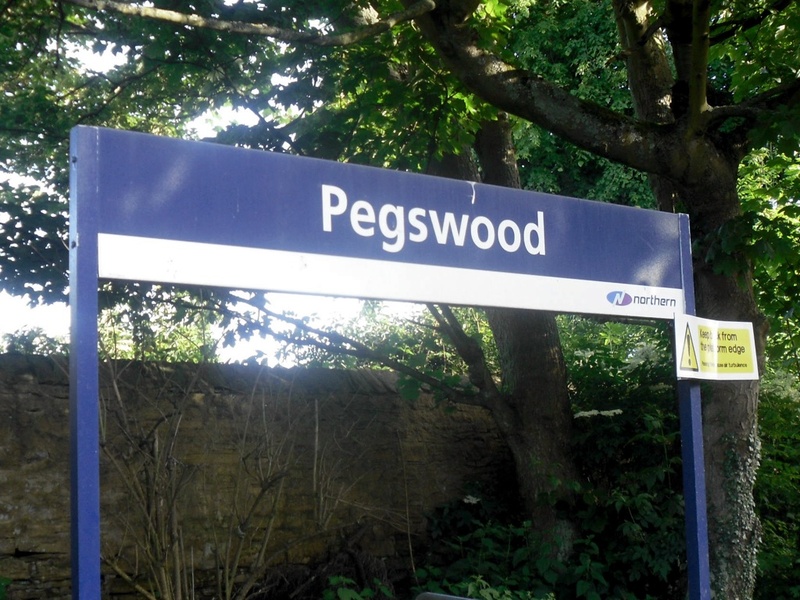 Many of these stations were short-lived and closed in the early years of the 20th century due to stiff competition from tramways, which could serve the densely populated inner cities far better than trains could. Ardwick station, on the approaches to Manchester Piccadilly, somehow survived this cull, but is now in danger. 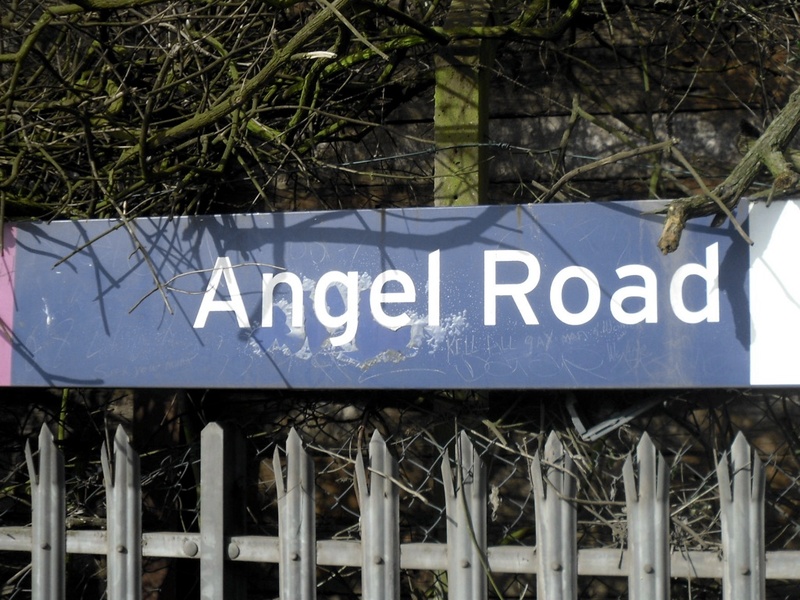 The district it serves in East Manchester has experienced a long period of steep economic decline and is now one of the city’s most deprived areas. A lot of businesses and residents have left the area, leaving the station without a source of traffic.